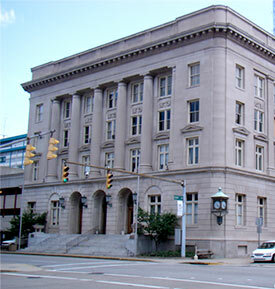 The City of Charleston broadly imposes a Business and Occupation ("B&O") Privilege Tax upon all persons for the act or privilege of engaging in business activities within the City of Charleston. The term “business” shall include all activities engaged in or caused to be engaged in with the object of gain or economic benefit, either direct or indirect. In determining whether a business is engaged in for “\"direct or indirect economic gain or benefit", the lack of profit suffered in said activity is not relevant; nor is it material that the business was engaged in without profit as the primary motivation. B&O Tax is measured by the application of rates against values of products, gross proceeds of sale, or gross income of the business, as the case may be. All persons engaging in business activities in the City of Charleston are subject to the B&O Tax unless specifically exempted by Chapter 110, Article II, Section 110-63 of the Code of the City of Charleston. Certain occupations and business activities are classified, and the classifications are significant inasmuch as the tax liability varies because of the different rates established for the types of business activities engaged in by the taxpayer. The business activity usually determines the taxable classification, and where different business activities are conducted, the taxpayer is liable for tax under each taxable classification involved. If you are uncertain as to your business activity or how your business should properly calculate the tax, please contact our office. For individuals or businesses that perform residential or commercial contracting activities, the Office of the City Collector has available, upon request, a Construction Projects Handbook. This handbook details the B&O Tax responsibilities of individuals in the construction industry. In addition to registering with the Office of City Collector, all contractors must also register with the City of Charleston Building Department. If you have any questions or concerns regarding your contractor registering status, please contact the Building Department at 348-6833.